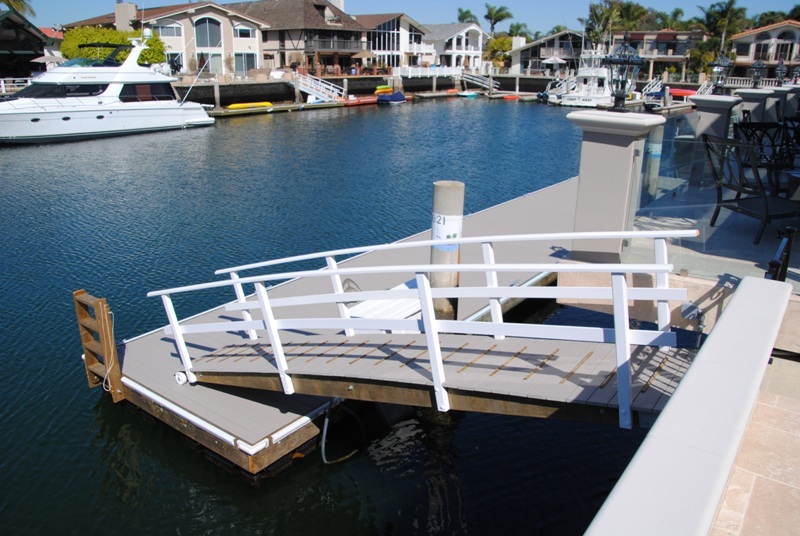 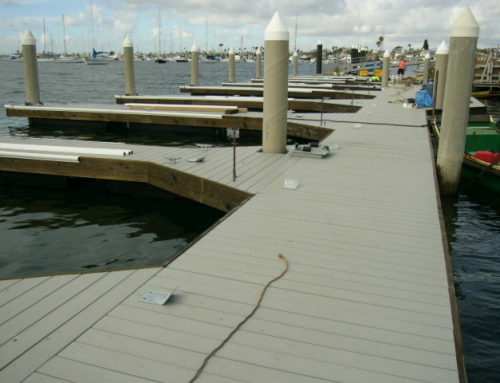 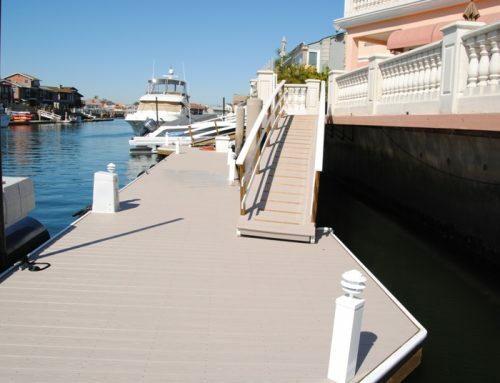 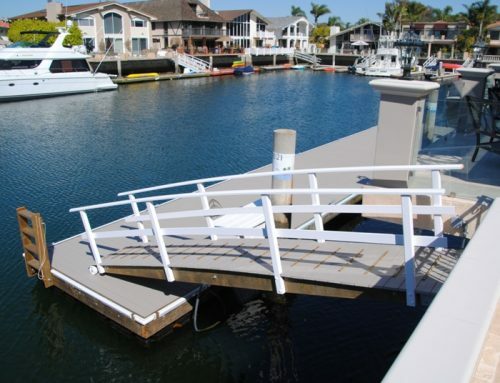 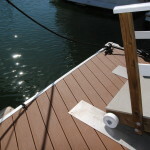 This dock is a combination of decking materials! 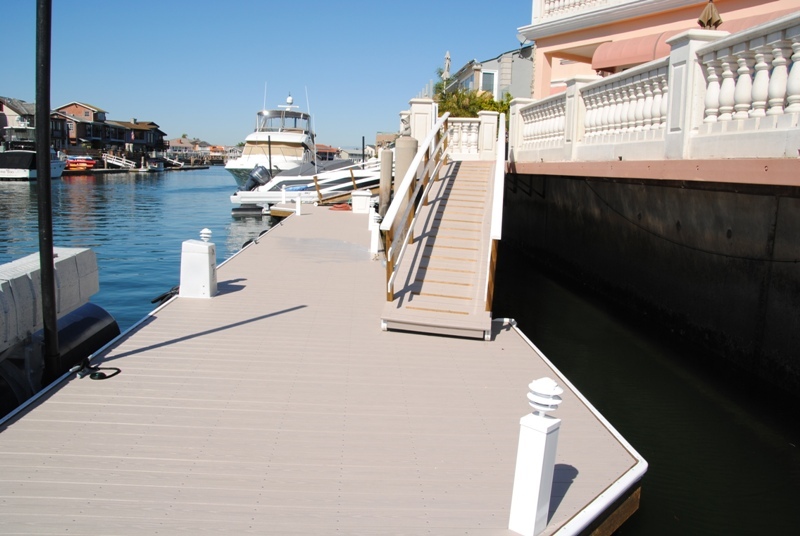 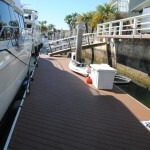 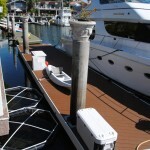 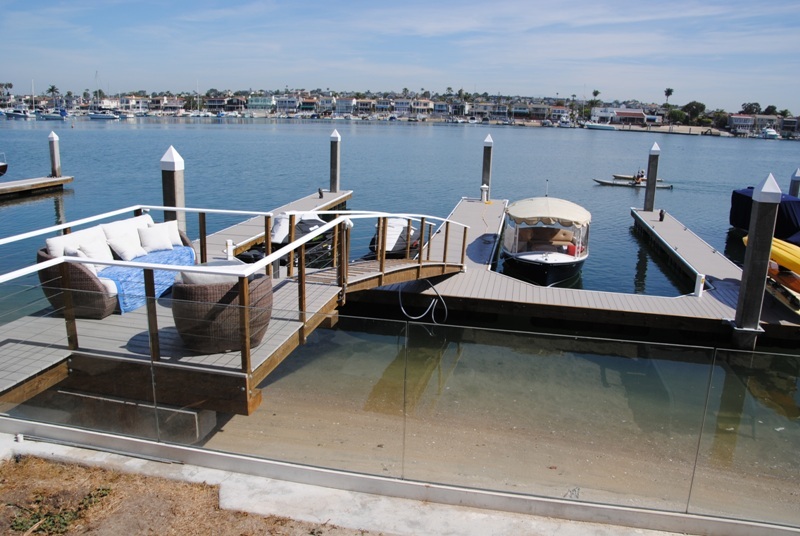 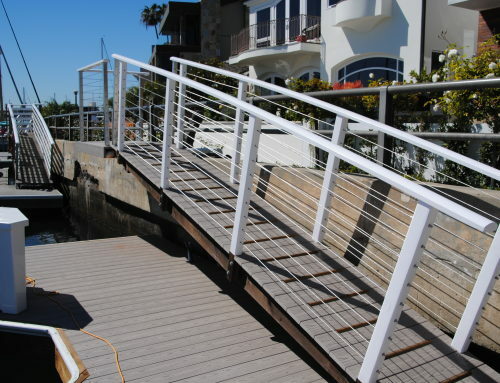 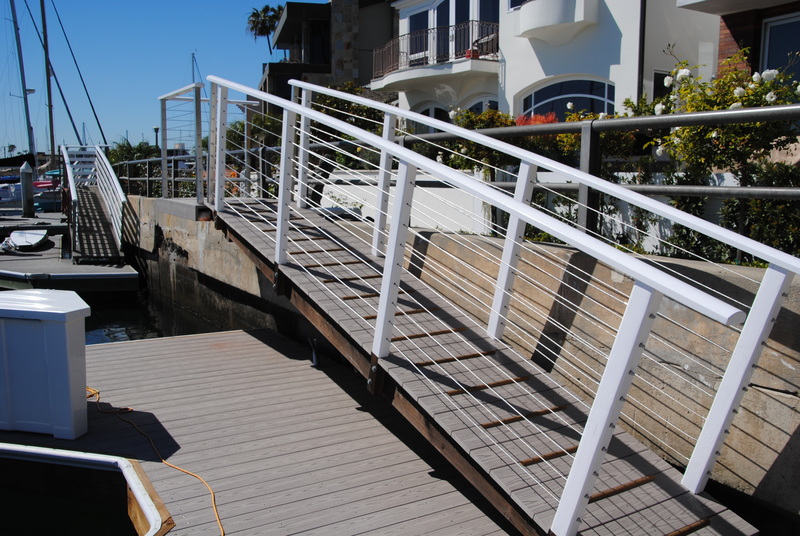 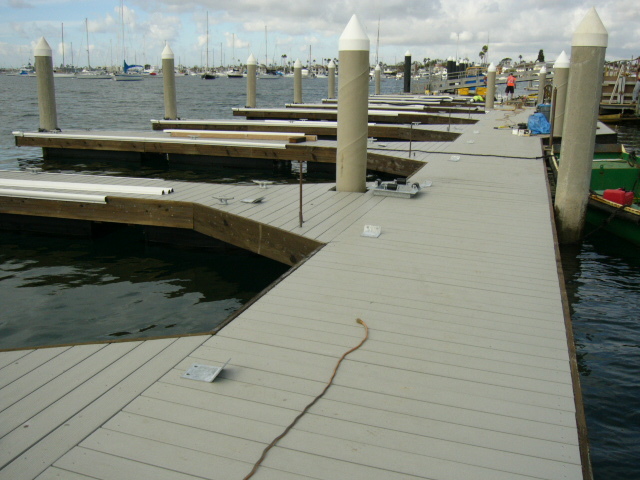 The gangway is decked with global grid non-skid decking and the dock is completed with TREX decking. 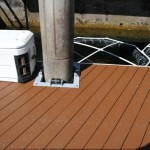 This is also unique with the featured diagonal planking of the TREX decking. 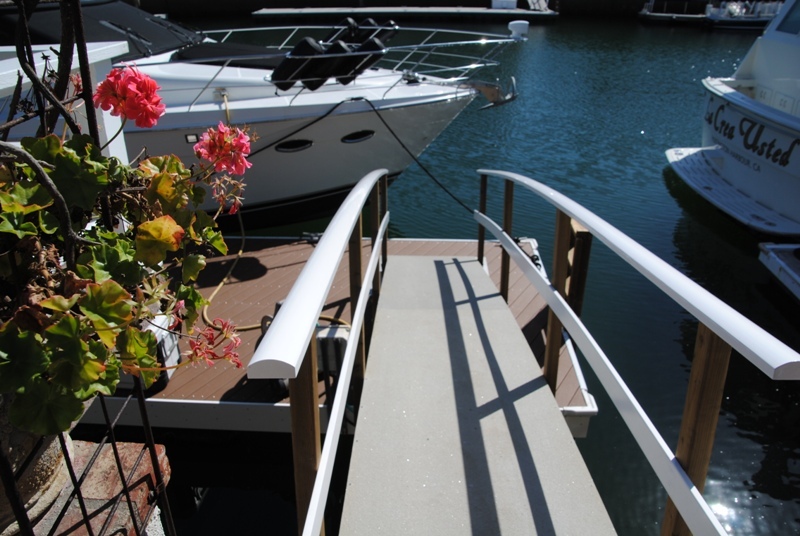 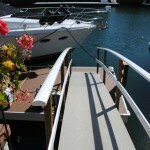 The gangway includes ramp wheel plates to help a smooth transition with the tides. 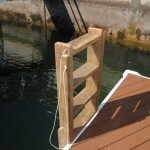 Check out the wood swim ladder as well!